← And so the baking begins! During this festival, like most, there are particular food that are linked to it. 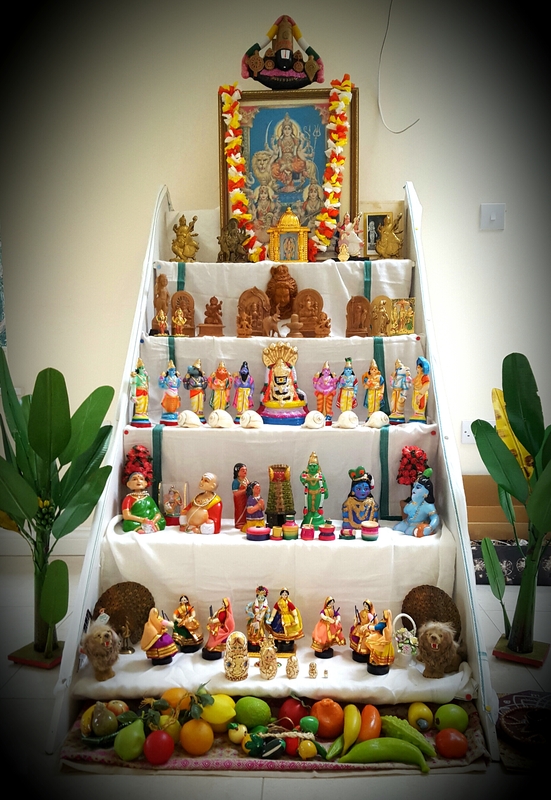 There is always a different food offering, which is called “Neivedhyam” in tamil, for each day of Navarathri. This offering is blessed during the pooja each day and then distributed to those who have attended the ceremony. There is a neivedhyam theme of “Sundal” which is a dry, savoury dish that is essentially some kind of pulse or bean with tempered spices and grated coconut. The spices can vary but it’s a very healthy dish if it has the least amount of oil used and enables the natural flavours of the pulses and beans to come through. There are also sweets and “payasam” that can be offered during the religious ceremonies or just made as part of the celebration. 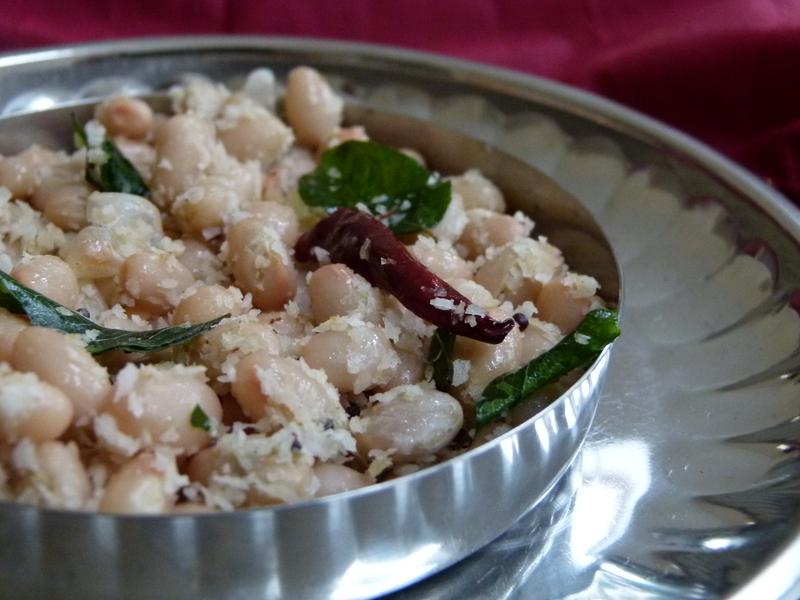 Here’s my “Sundal” recipe which can be modified with your favourite pulse or bean and many people enjoy eating this on other days, as well as Navarathri, for a healthy and satisfying snack. Although Navarathri is over for this year, it’s exciting to know that Diwali, or “Deepavali” as we call it in Tamil, is just a few days away now. This is of course a huge occasion among most Hindus and it’s a dream of mine to experience this vibrant festival in India. So again there are very special treats involved in Diwali, but as a child I used to hate the sickly Indian sweets that we were given. I am not a sweet tooth so I have a recipe for a delicious sweet to make for Diwali which is less in sugar than most Indian Mithai/sweets but also healthy! It involves no cane sugar and can be made in a minutes if you have some kind of food processor/mixie. I kid you not! 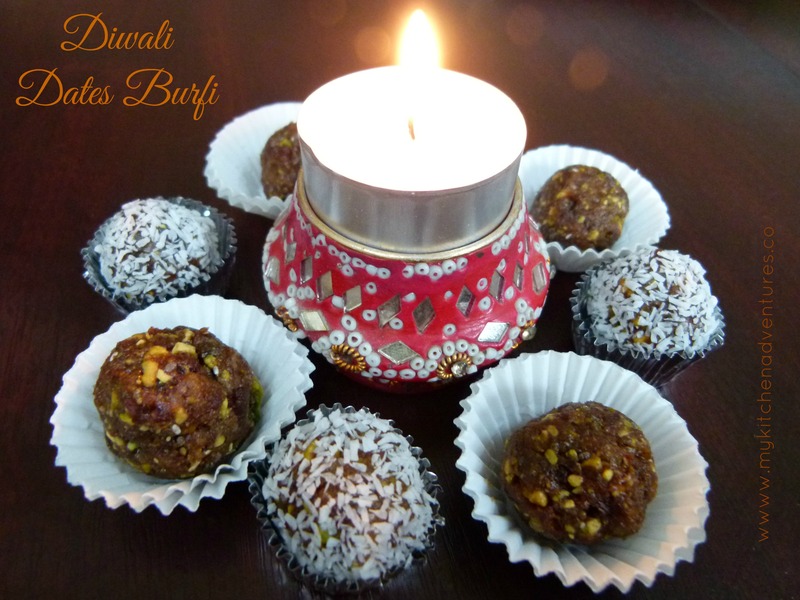 Here is the recipe for my Diwali Dates Burfi. Many wishes to you too! The images look beautiful. Lovely article. Thank you for posting it. Really enjoyed reading it. I love your comment that god is love and god resides in all. Happy Diwali. Look forward to reading many more articles of yours.